Now that I have a fabulous new ‘do, the task at hand is to keep my style looking amazing while keeping my hair’s texture and color in tip-top shape. Having been around the proverbial haircare block, I can vouch for two products that have helped me maintain hair nirvana. Both Kelly Van Gogh’s Wonderlust and Michael Angelo’s Inner Fuel are all in one products that work. Wonderlust is a multi-tasking, omega rich, hair spray tonic that provides hair with both shine and conditioners. The spray contains keratin proteins, caviar conditioners and mica shine minerals to combat harsh minerals, thermal heat, and damaging solar rays. Official list of uses includes detangler, leave in conditioner, and post-color pH balancer. Looking at the product up close, you can see the individual light reflectors responsible for giving hair it’s shine. 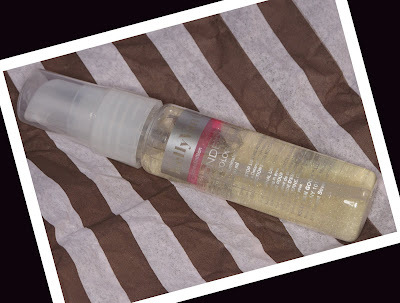 I love to use this post heat styling, to give my hair a shiny, glossy boost. You can find Wonderlust on the Kelly Van Gogh website, and at Space NK stores. 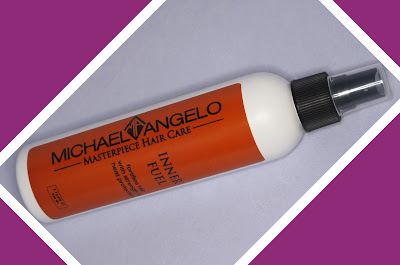 Inner Fuel is another multi-tasking product that acts as a detangler, leave-in conditioner, strengthener, heat protectant, and UV protectant. As with Wonderlust, I have taken to using this multi-tasker to fortify and protect my hair. 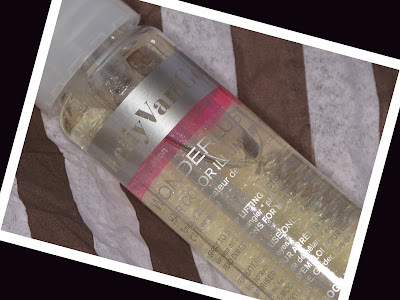 I use this post shower on towel dryed hair, making sure to coat my strands evenly when I know that I will be heat styling. Unfortunately, this product is a bit more elusive, as you can only find it at select day spas and hair salons. If you do come across it, definitely give it a try. Both products are multi-taskers that have become a great part of my haircare routine. What are you currently loving for your hair right now? *Product was provided for consideration.